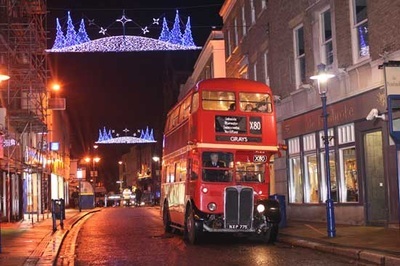 RT4421 passes under the Regent Street Christmas lights, December 2015. 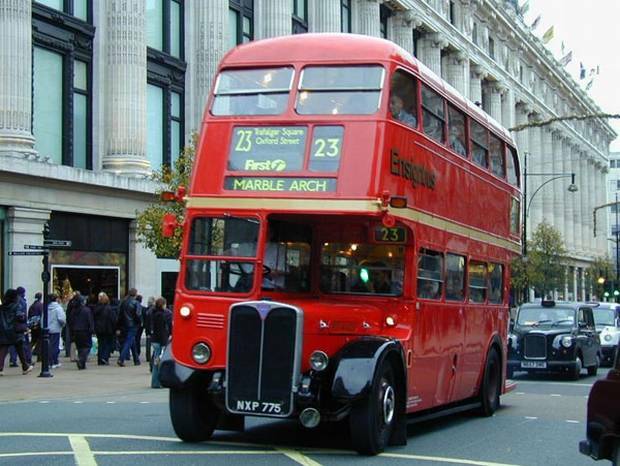 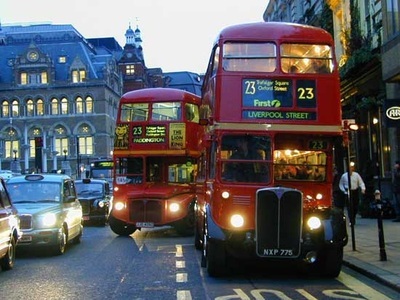 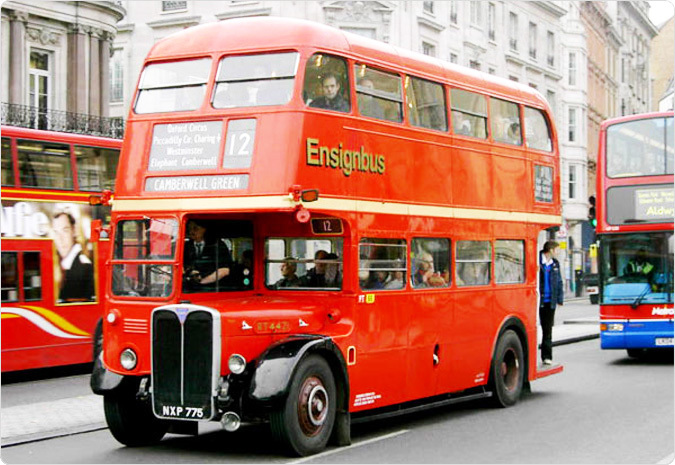 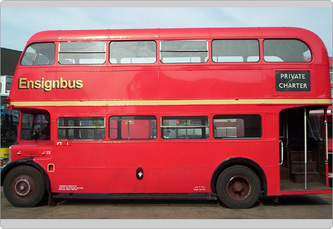 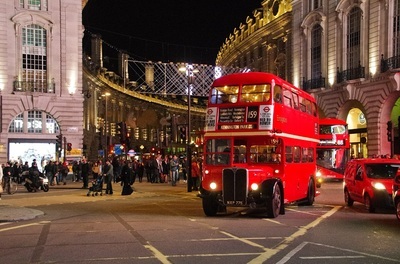 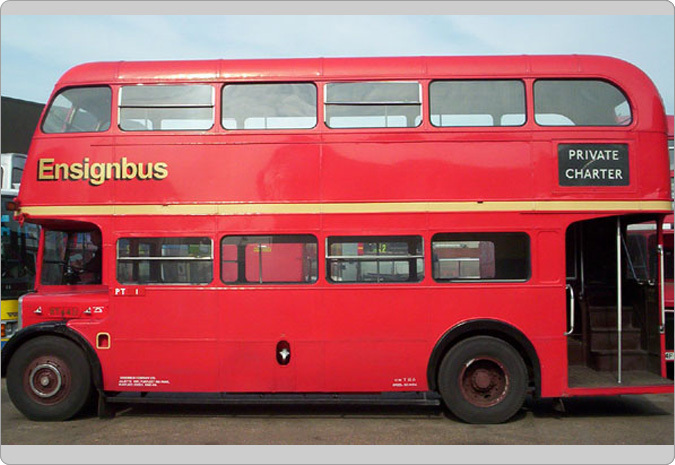 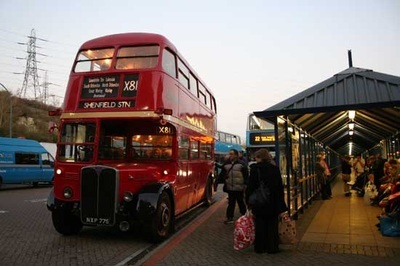 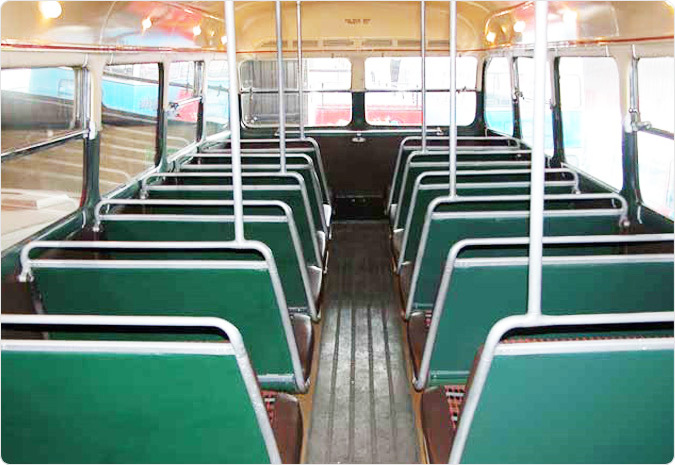 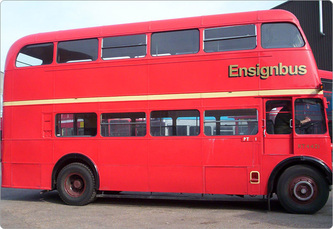 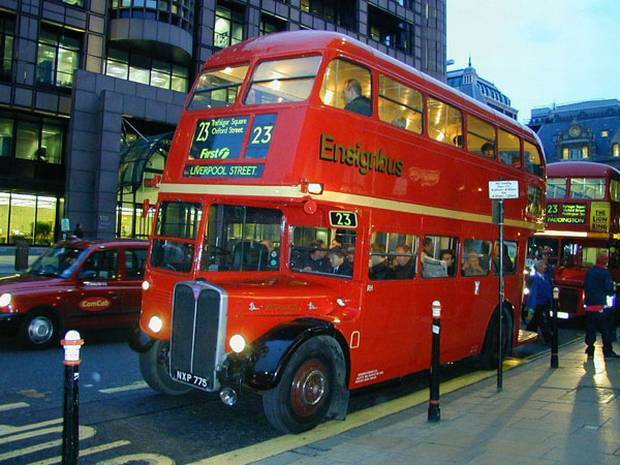 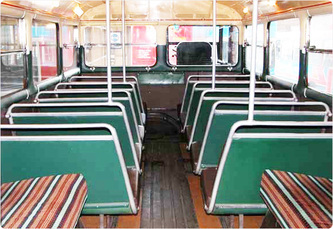 ​The Classic RT design originally entered service in 1939 and lasted until 1979 making it one of the most famous and well know of London types. 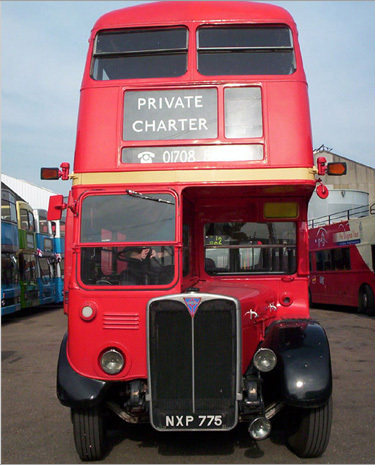 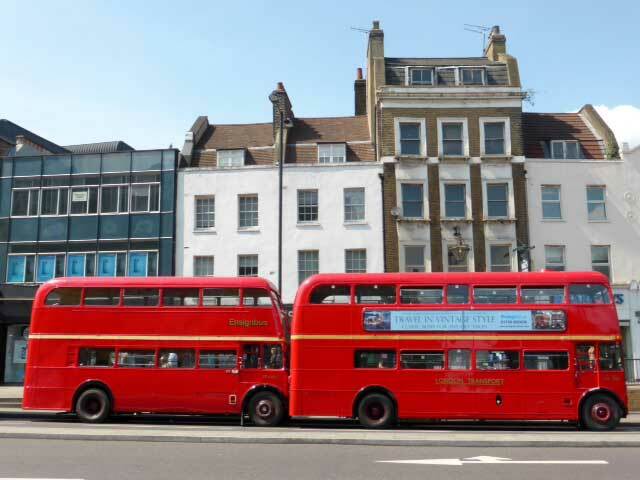 This example represents the many thousands of these buses that went about their work everyday, giving sterling service across the entire London bus network. 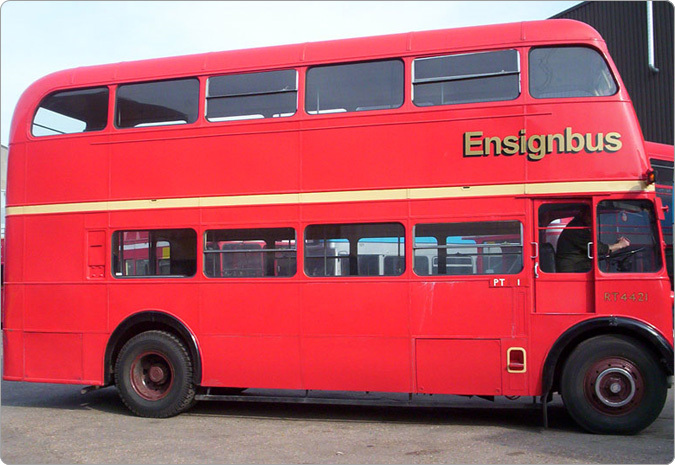 Carrying the traditional Central Area red, it presents a timeless classic of how many people fondly remember London’s buses. Ideal for moving up to 56 people in one go and representing the mainstream of thousands of vehicles, RT4421 is sure to be an instantly recognisable symbol at your event of Great British design, engineering, pride and tradition. 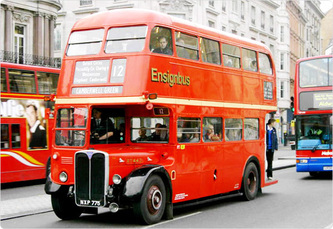 The RT is surely one of the best know types of London bus with a look that is timeless as well as being a design classic. 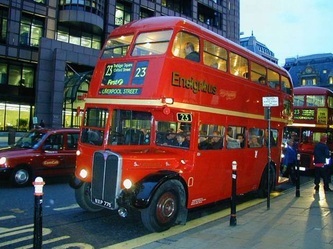 RT’s have featured in films, such as ‘Summer Holiday’ or James Bonds ‘Live and Let Die’ all adding to the familiarity of the type. The first RT took to the road in service weeks before the start of World War II and hence became the only true Pre War RT, however with the other 149 of this batch entering service throughout the next two years before hostilities ceased, these first 150 are universally all known as the Pre War batch.​Following the end of the war it had been decided that the RT would form the majority of London double deck fleet and some modifications were made to the post war design to improve on what had been learnt from the operation of the pre war batch, thus started one of the great fleet replacements of war weary types as quickly as possible. 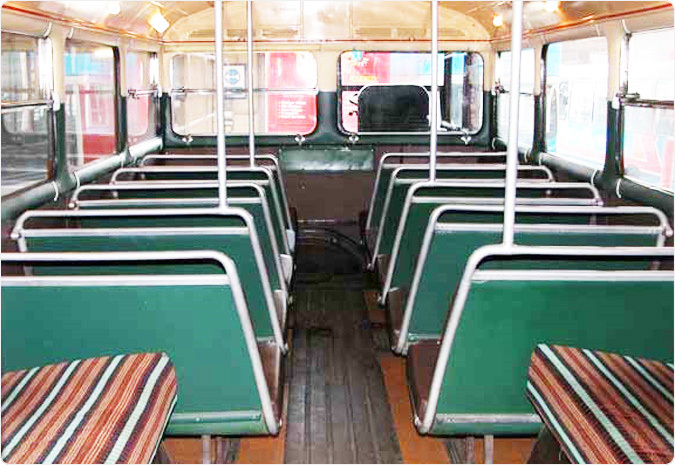 By 1948 RT’s were entering service in a steady stream, there were however numerous delays and shortages caused by the lack of parts and skilled workers so soon after the end of hostilities. 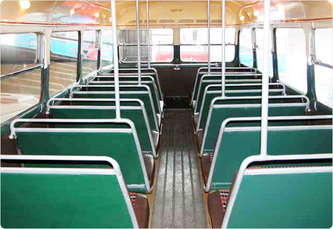 Body production was quicker than chassis leading to some new RT bodies being mounted onto STL chassis, thus making the short lived SRT class, (of which our very own RT4421 is one, formerly SRT 119). 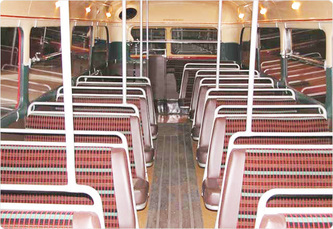 To also help production non standard body builders were used in addition to Park Royal and Weymann, Saunders and Cravens also built a few hundred examples see our RT1431 and RT1499 for Cravens examples.By 1955 bus use had dramatically declined and LT had more buses than it was ever going to need, so the first non standard types, the Cravens, were withdrawn and sold on. 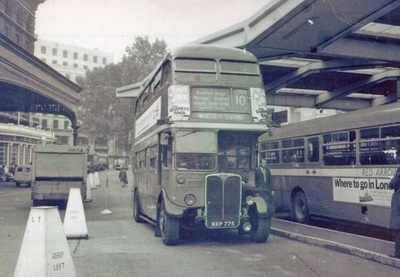 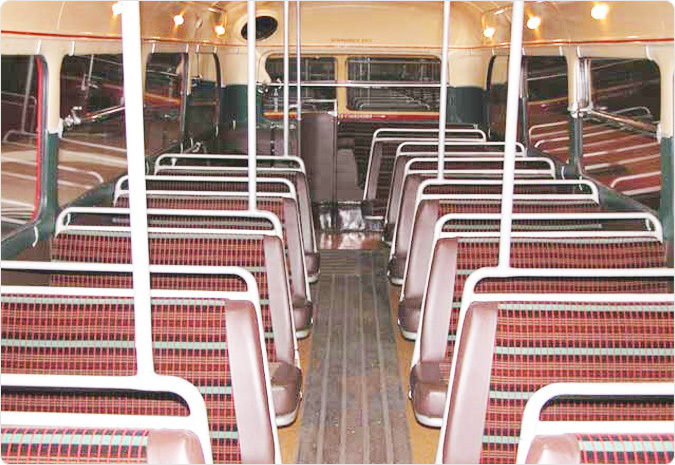 Further withdrawals continued as the new Routemasters started to appear in the late 1950’s.However the RT was a survivor and following its hey day, where nearly 7,000 were in service, they took a very long time to replace. 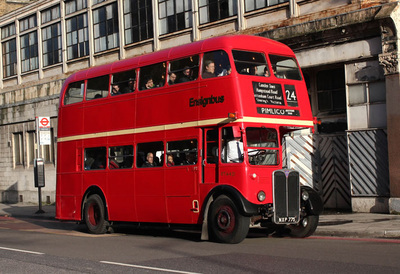 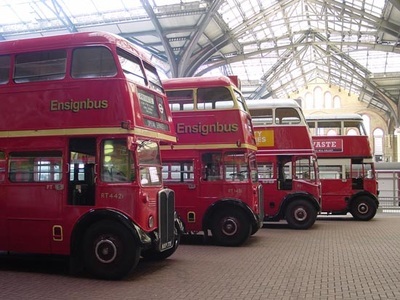 The last one (RT624 also now in our fleet) ran on the East London route 62 in April 1979 bringing to an end 40 years of continuous operation of this type, a record many thought would never be beaten. However, its successor the RM did manage to achieve this extraordinary feat lasting in service until 2005.It’s true to say that when people are asked to draw or describe a London bus it is generally one of these two types people will think off, such is the iconic regard they achieved however with the RT having been built in such austere times and having operated through such harsh conditions its longevity is a real credit to its type. 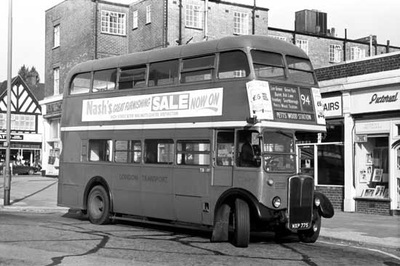 RT4421 entered service in February 1954 at Upton Park having initially been delivered to Romford. 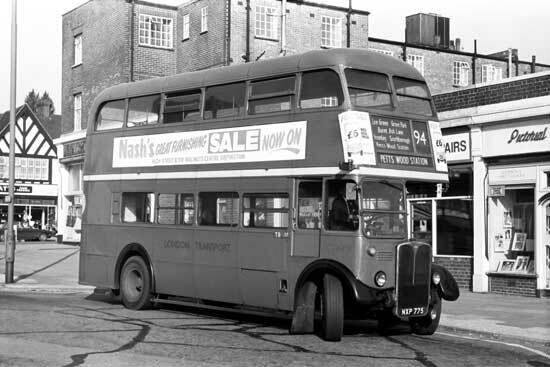 By October 1956 it was working from New Cross before moving on to Addlestone by December of that year. A brief period at Crawley ensued before the vehicle again retuned to New Cross and then Potters Bar before going back for overhaul. 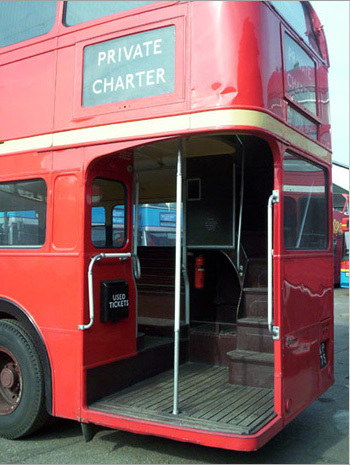 Following overhaul she spent longer spells at Peckham and then Croydon before moving to Amersham where she stayed until 1970. 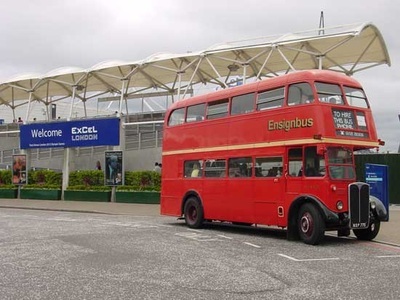 From 1970 until the end of her in service life 1976 she was working from Bromley, before being down graded to driver trainer duties at Bexleyheath until March 1978 when she was withdrawn and sold for scrap to Wombwell Diesels in Barnsley.